Death bed testimonies and testimonies from children of military employees who worked on roswell. Hundreds of anomalous objects photographed near the sun since 2001 have captured the attention of UFO enthusiasts. 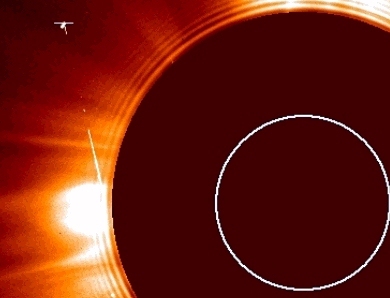 These objects are reported to have been photographed by the Solar and Heliospheric Observatory (SOHO). SOHO is a NASA spacecraft that monitors the sun's activity. The observatory is located 1 million miles away from Earth. 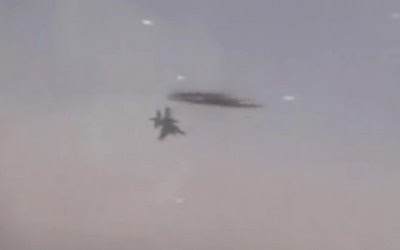 UFO investigators claim that the saucer shaped craft were moving in a manner that suggested intelligent control, and additionally, they believe that the images are proof of alien life. BBC reports that NASA originally dismissed the images as comets, asteroids, or the result of a camera fault. NASA now refuses to make further comment on the objects. Enlargements of the object with colored filters. Was Columbia shot down by a ufo? David Sereda and others discuss the possibility that the planet is caught in a terrestrial-ET space conflict or an ET-ET conflict.Part of this looks at the case of the Columbia Shuttle which was seen with two UFOs and also photographed by a scientist who caught several frames showing some kind of plasma weapon homing in on the shuttle body. What are the consequences of above government agencies knowing about these type of conflicts and failing to disclose it to the world?